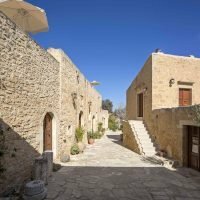  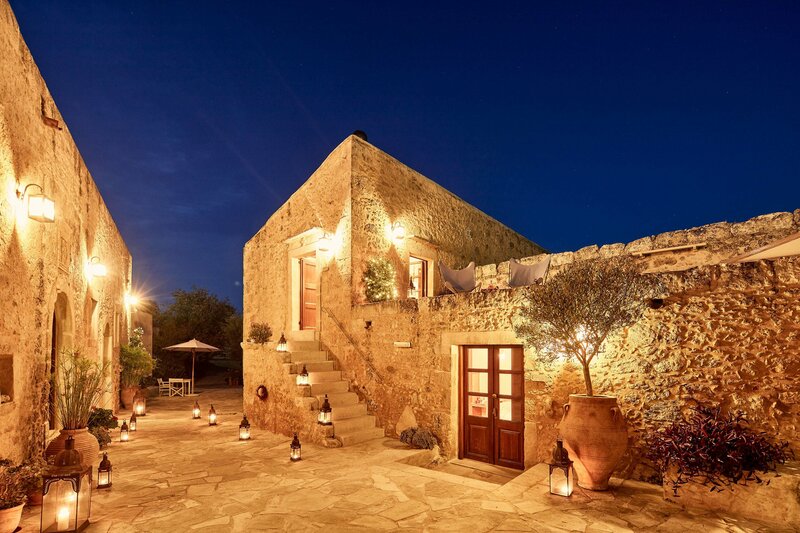 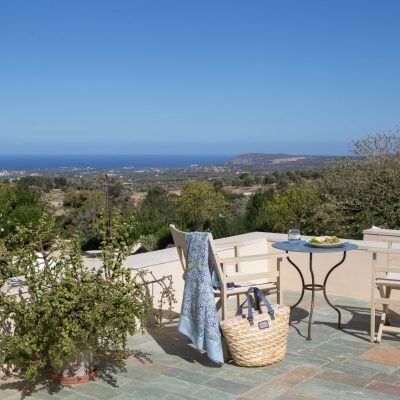 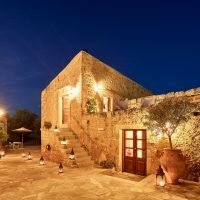 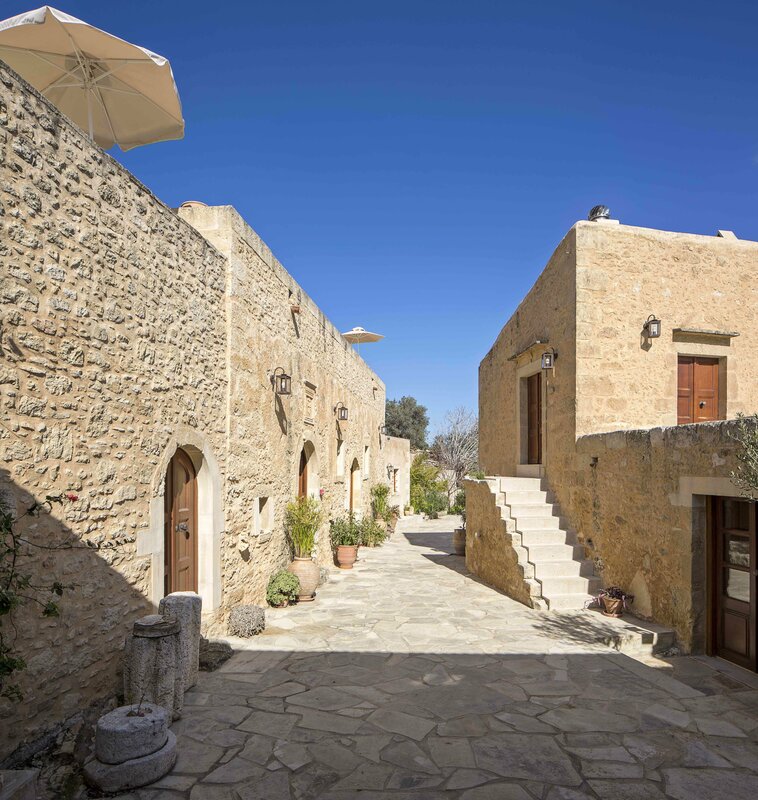 Search for Sirius in the sky while staying in the homonymous suite at Kapsaliana Village Hotel. 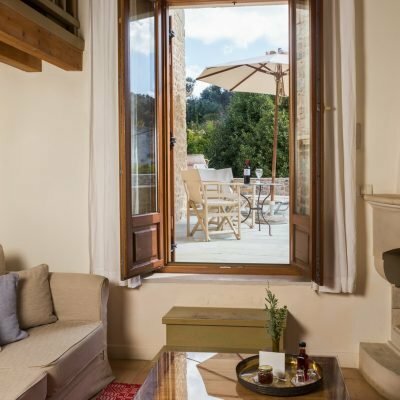 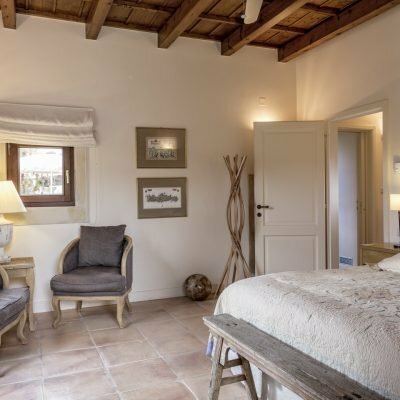 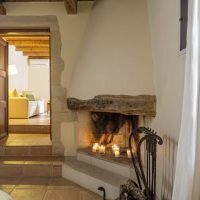 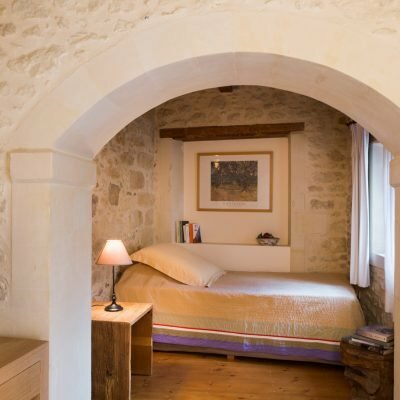 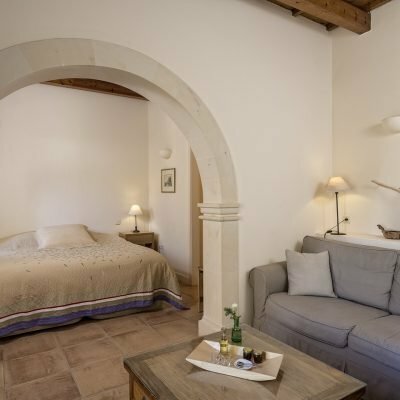 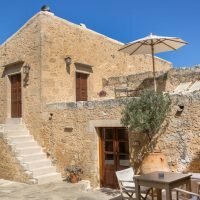 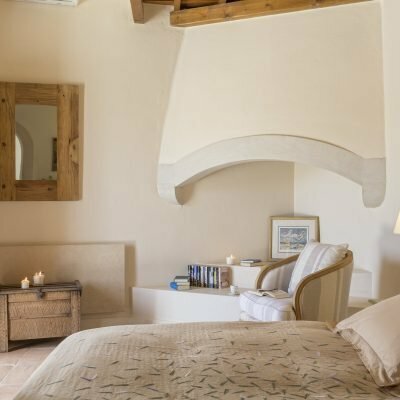 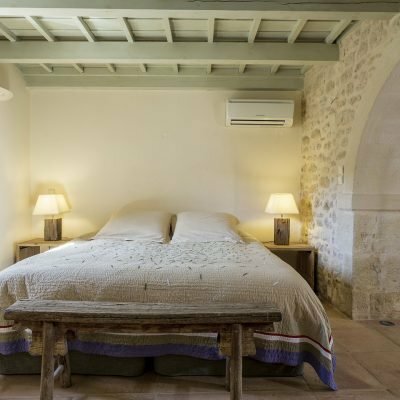 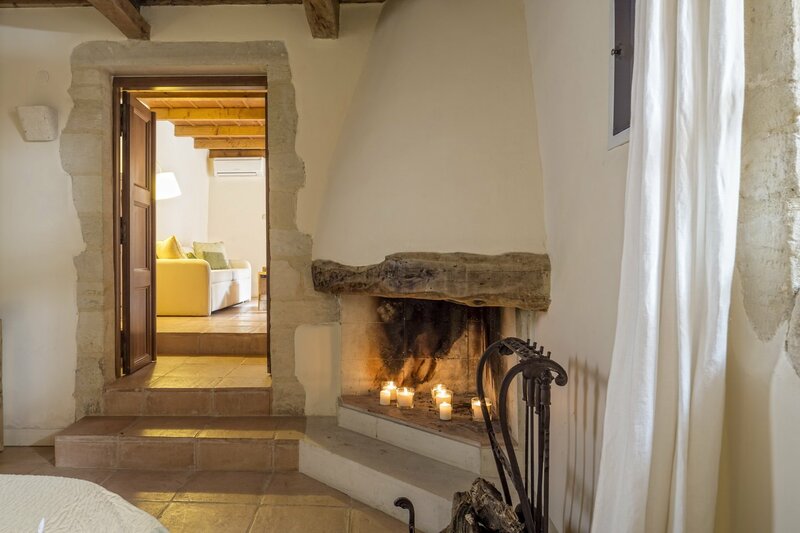 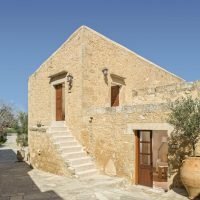 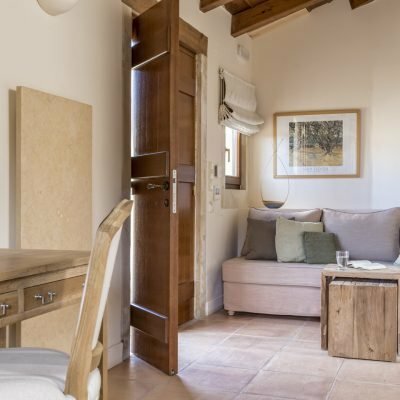 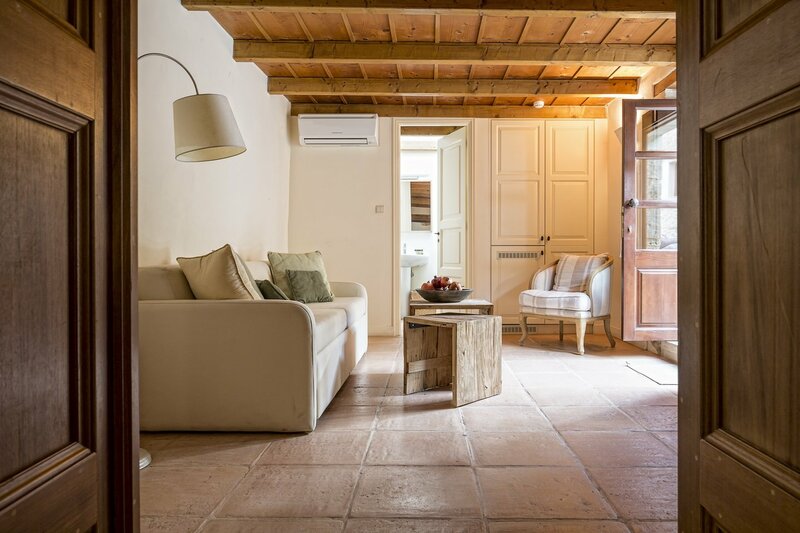 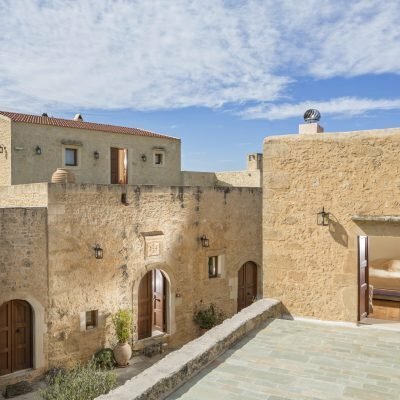 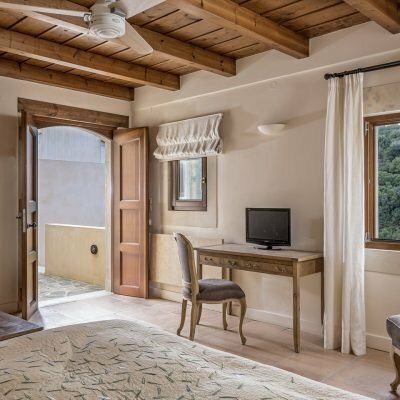 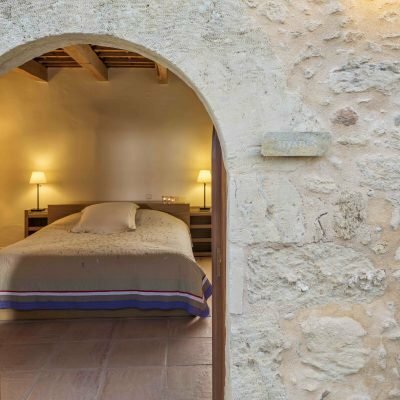 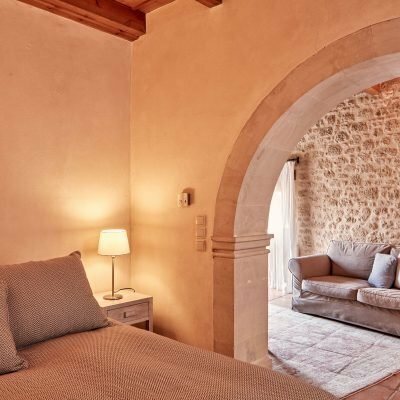 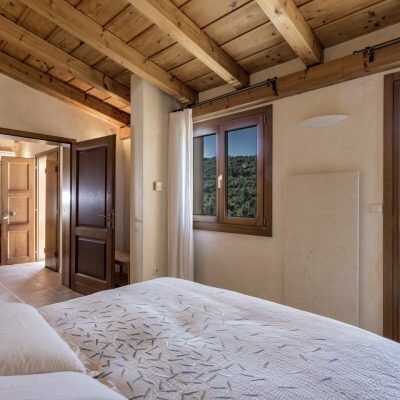 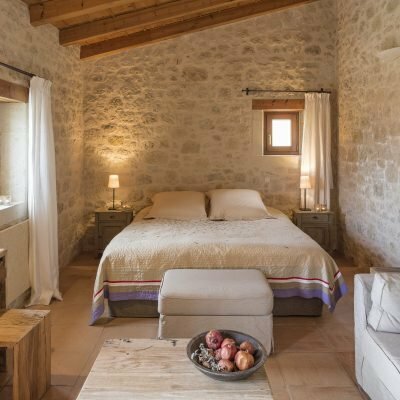 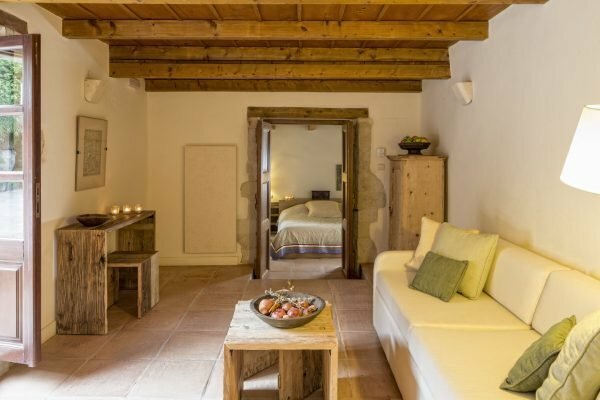 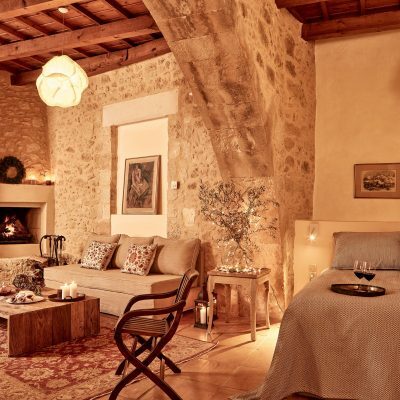 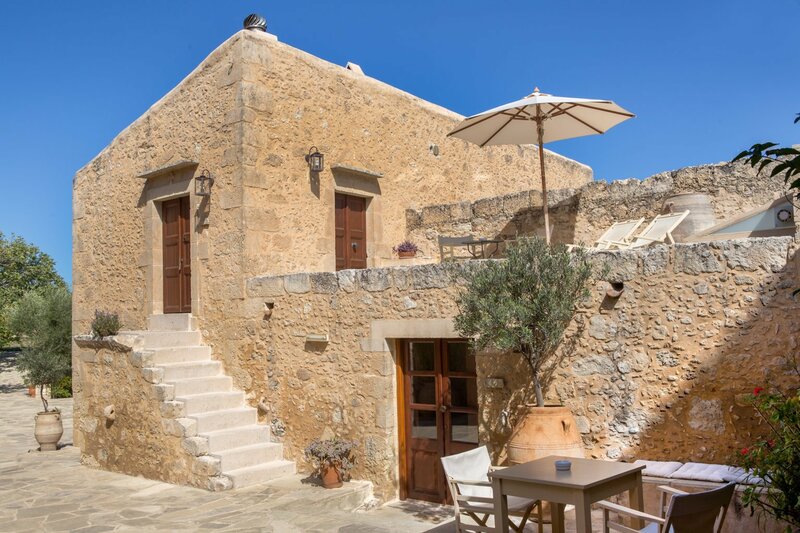 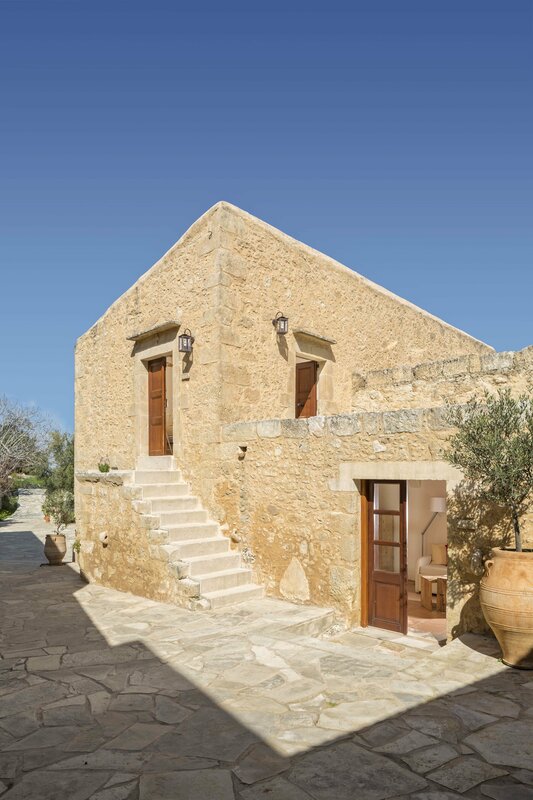 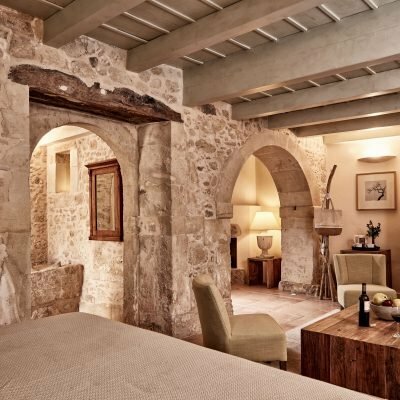 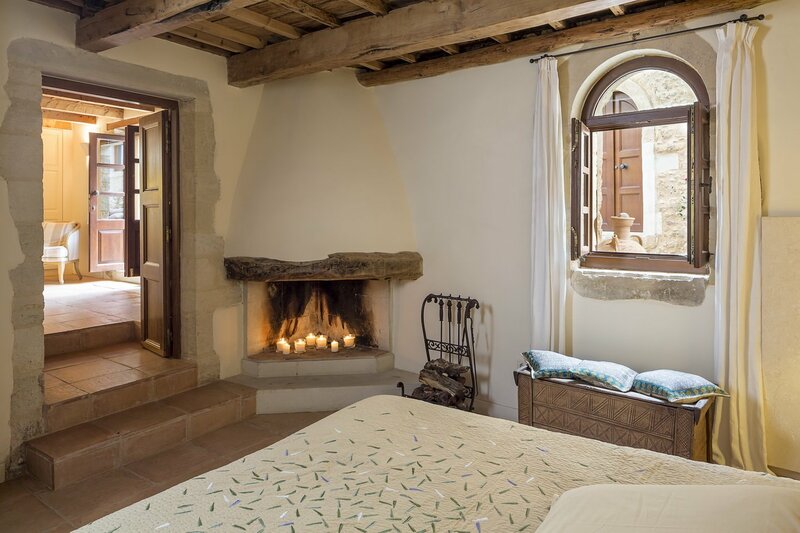 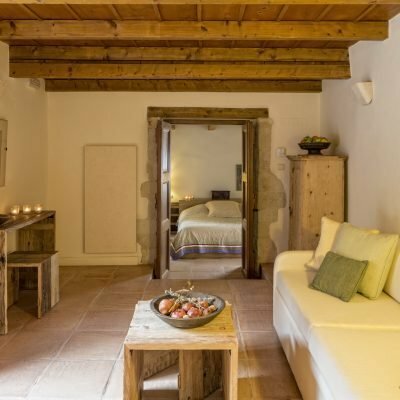 The suite has a living room with a sofa bed that can become 2 single beds suitable for 1 or 2 children while it separates from the bedroom with a traditional arch that has old beams and a fireplace. 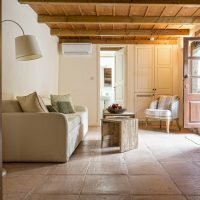 This is an ideal choice for families with one or two children. 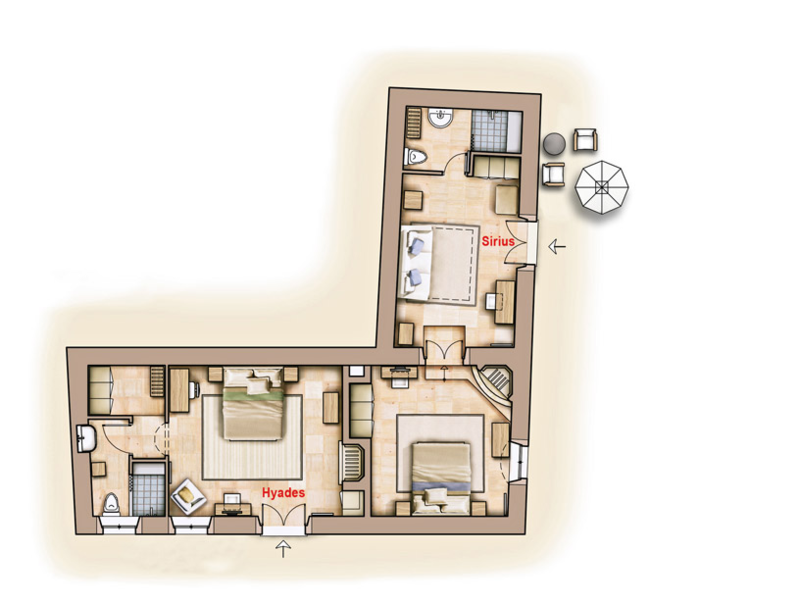 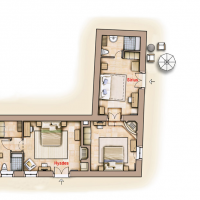 Capacity: The “Sirius” suite can host 2 adults & 1 or 2 children.